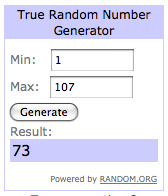 Needle and Spatula: Giveaway Winner! 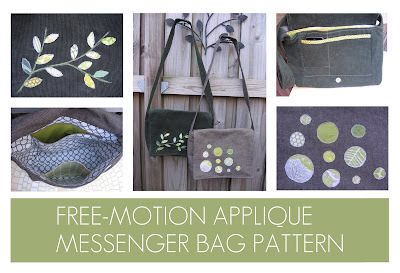 Thanks to everyone who entered the giveaway for my new messenger bag pattern and the fabric to make it (or $25 credit to my Etsy shop). It was so fun reading all your comments, I am thrilled that you all like the new bag design! #73, Sharon Pernes! Congrats Sharon, I am will contact you shortly to make sure you know you won! If you didn't win but you want to get the pattern it is available in my Etsy shop [update: and in my Meylah shop with automatic download]. Plus I just added a listing to buy this pattern together with my yoga mat bag pattern for $10 - what a steal! If you do get either pattern I'd love to see your finished bags in the Needle and Spatula Flickr group.